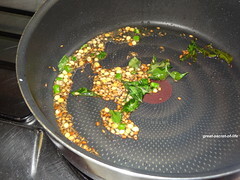 just had this yesterday for my diner, of course without tempering , now will make it like this. 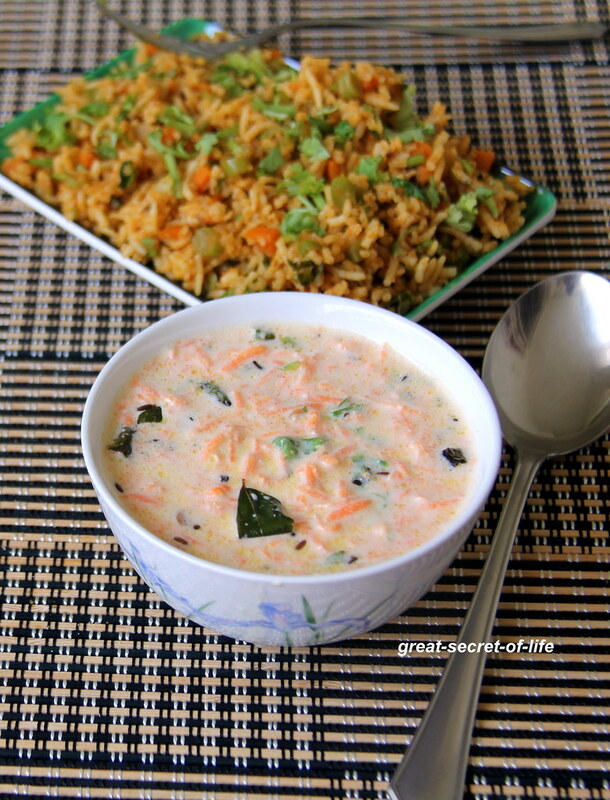 Healthy raita goes well with hot pulao! 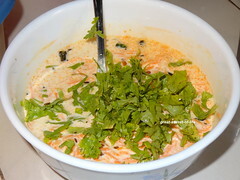 hmmmmmmmmmmmmm lip smacking carrot raitha. 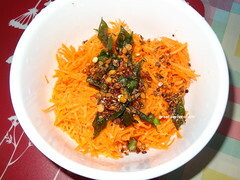 Looks delicious to be served with any rice . 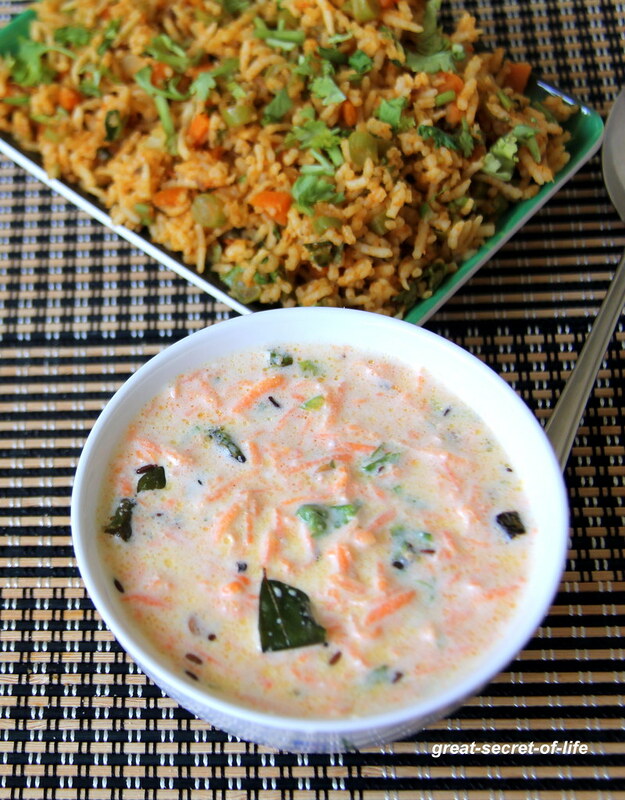 Both rice and carrot sauce are very delicious! 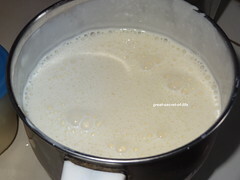 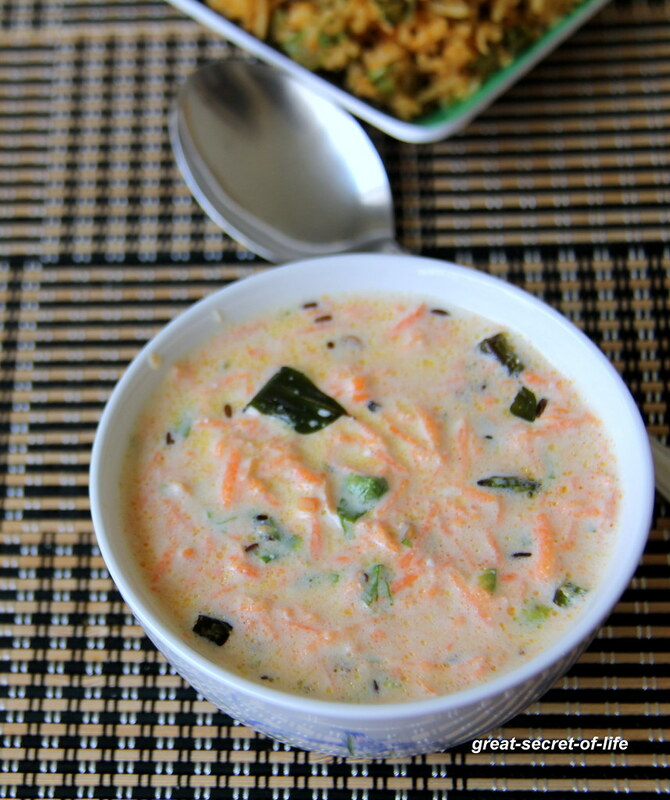 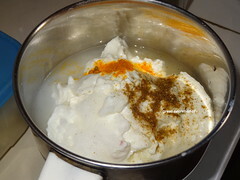 My kids love this carrot raita very much, obviously i make quite often this pachadi.